In the wake of Whitney Houston’s death this week, her music re-entered the charts en-masse. And though at nowhere near the same magnitude as when Michael Jackson passed away in 2009, there was still a lot of posthumous Whitney chart love. Here’s our look at the singles and albums that Australia snapped up in the days following her passing. 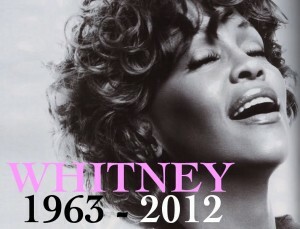 Eight Whitney Houston tracks made it back into the top 100 in the week after her unexpected demise in Beverly Hills. Naturally, the best performing of all of these was her 1992 international mega-hit ‘I Will Always Love You’, penned by Dolly Parton and lifted from the soundtrack to ‘The Bodyguard’. The track re-entered the top 100 (with its four times platinum accreditation) at No.8. Down in the No.25 position was Whitney’s 1987 classic ‘I Wanna Dance With Somebody (Who Loves Me)’, while another track from the ‘Bodyguard’ soundtrack (‘I Have Nothing’) re-entered at No.47. Outside the top 50, Whitney’s unforgettable ballad ‘Greatest Love Of All’ re-entered the charts at No.56, with ‘How Will I Know’ (No.67), ‘Saving All My Love For You’ (No.90) and ‘I’m Every Woman’ following in the top 100. Also making it into the top 100 was her 1987 single ‘Didn’t We Almost Have It All’, re-emerging in the charts at No.96. The love for Whitney wasn’t quite so pronounced over on the albums side of the draw, with only four of the singer’s albums making it into the top 100 – and three of those were greatest hits collections. Best performing was ‘The Greatest Hits’, which slammed into the No.3 position, just behind Adele and Lana Del Rey. Down at No.12, her ‘The Ultimate Collection’ re-emerged, followed eight places behind with a debut for her ‘The Essential’ collection. Her 1985 debut self-titled album, which contained the singles ‘How Will I Know’, ‘Saving All My Love For You’ and ‘Greatest Love Of All’ re-entered at No.81.